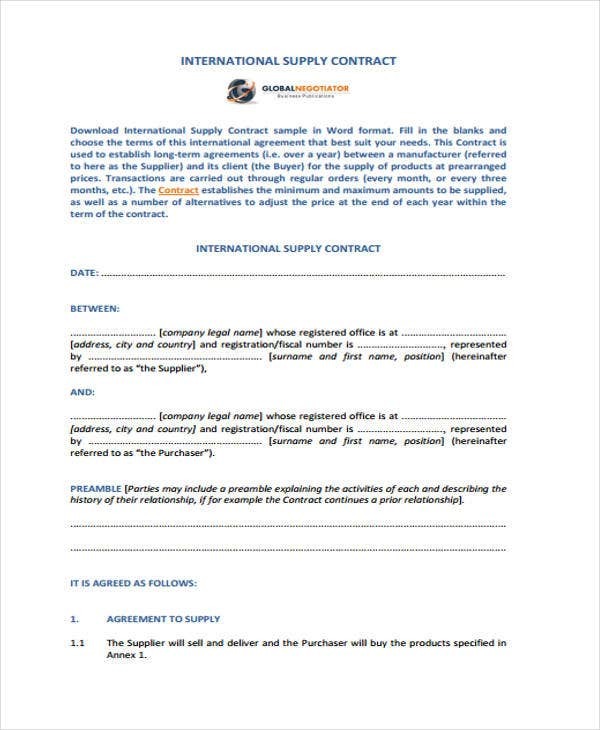 Given the flow and trading of goods and services among businesses and companies around the world, there comes various forms and format for supply contracts as well. 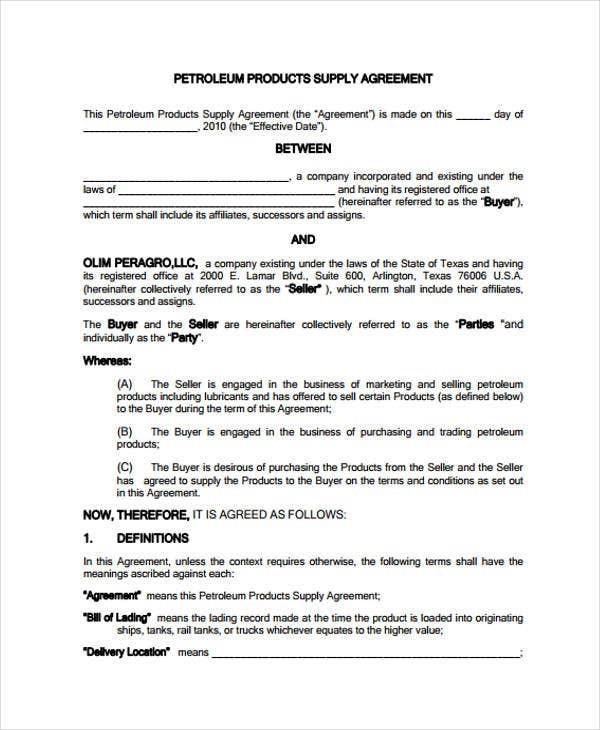 Supply contracts are deemed indispensable in this kind of transaction because it compels both parties to observe what has been verbally and informally agreed upon by them prior the creation of such a legal contract. 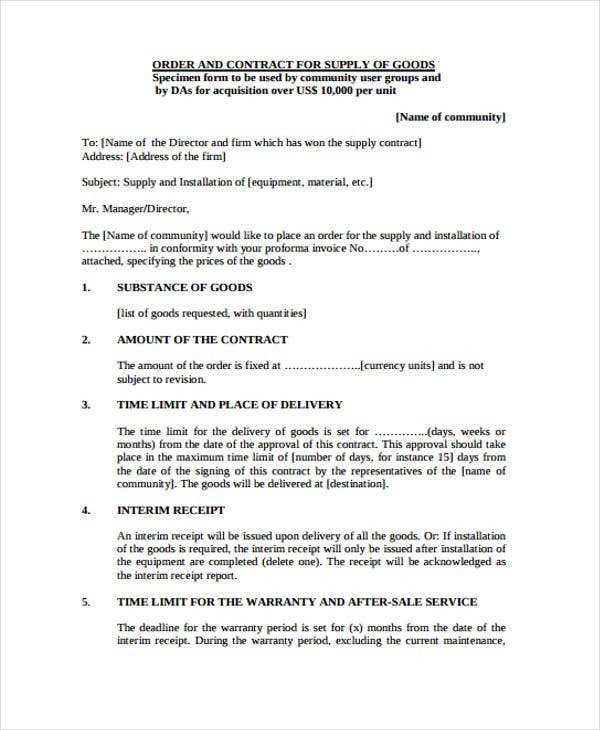 If you are into the universal exchanges of goods and non-goods items as well, then you would require a number of supply contract templates in your daily transaction. 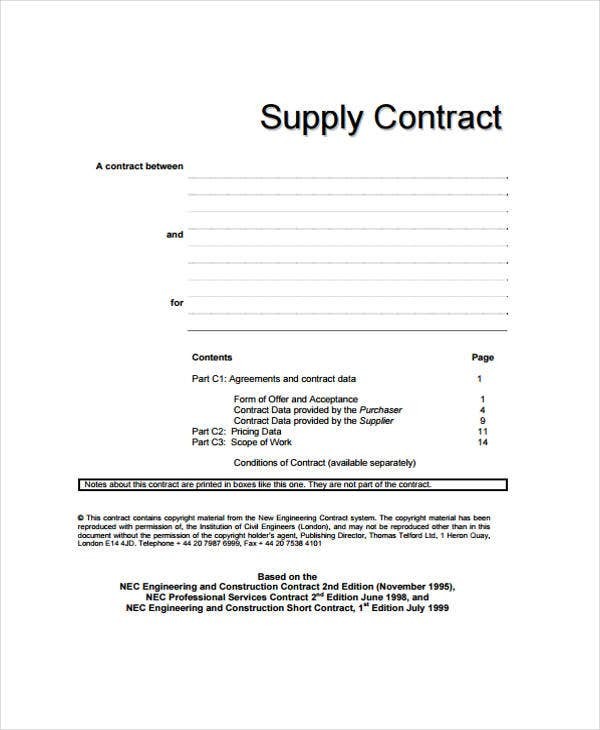 The post is just right for you as it offers various contract templates on supply. 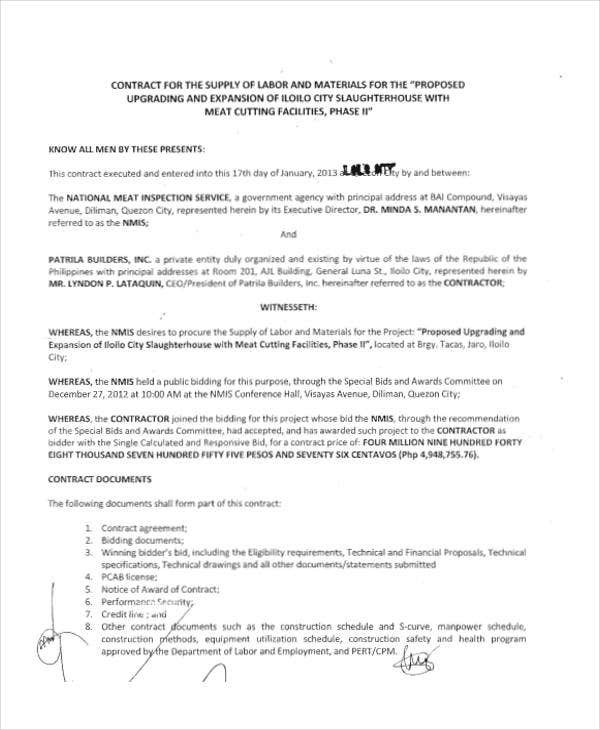 Labor or employment contract is provided as well. Check them all here. You must have exerted some time researching about the dynamics of supply chain management. 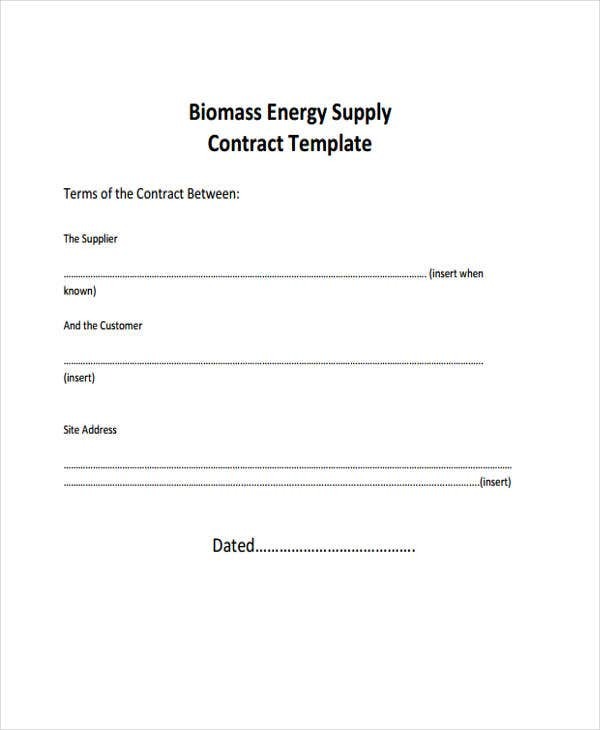 When you start writing your context for your template, bear in mind that your template will become your main document from which your succeeding contracts will be based from. 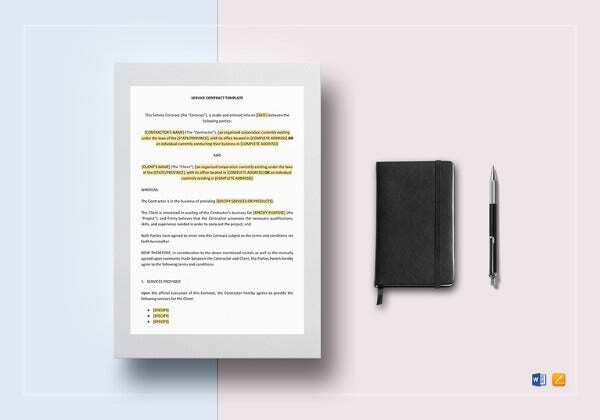 However, for your general clauses or terms and conditions, you may leave them as they are, since most likely they can still be considered in your next draft. The document must be properly introduced to the readers. It must have a clear title on the front cover. A table of content usually comes next on the second page. Various thoughts and topics must be grouped and organized accordingly. 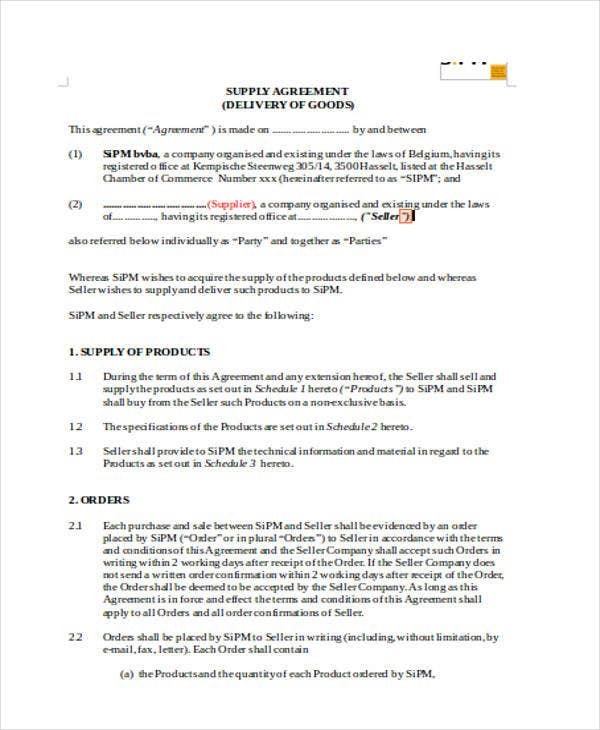 The first part may be allocated for topics concerning suppliers while the second may be reserved for performance reviews, minutes of meetings, among others. Consider the concept of exclusivity. 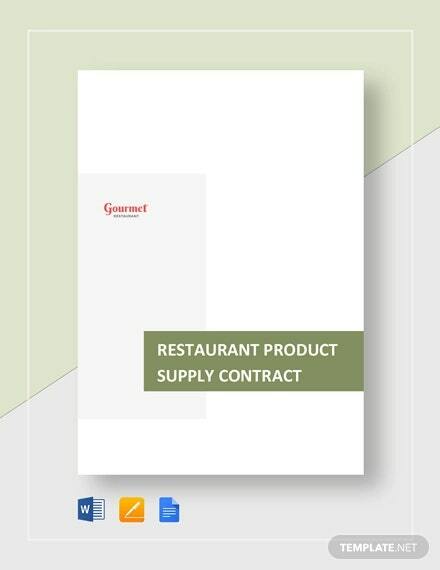 Having an exclusive supplier throughout a certain period allows the client to become at ease with their stocks and supplies. Maintain professional secrecy. 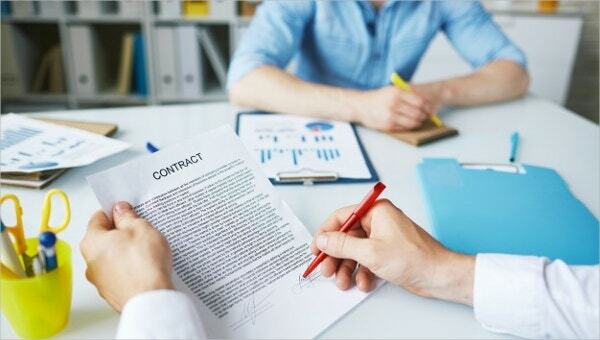 Main elements that are part of the contract must not be withheld to strangers. Consider time as always. For every transaction involved, you must ensure that there is an appropriate time for each. 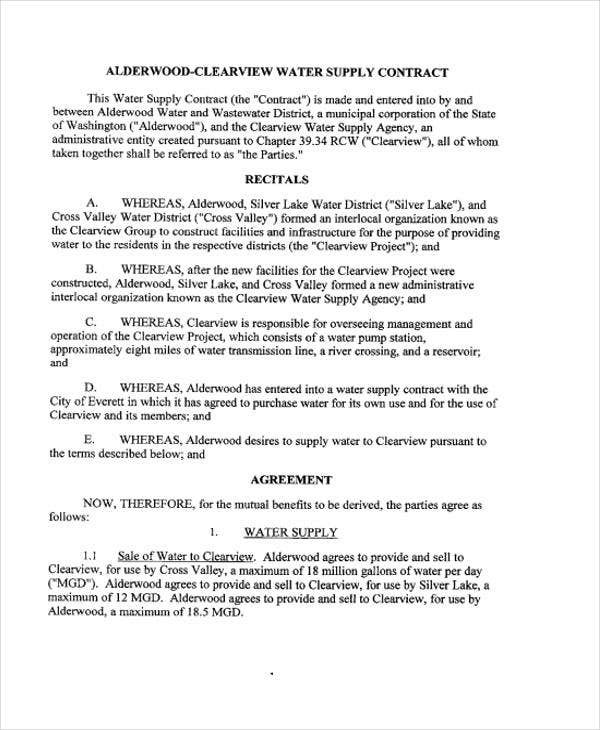 Termination clauses. In case some things do not work out fine, both parties are ready for the implementation of some contingencies. 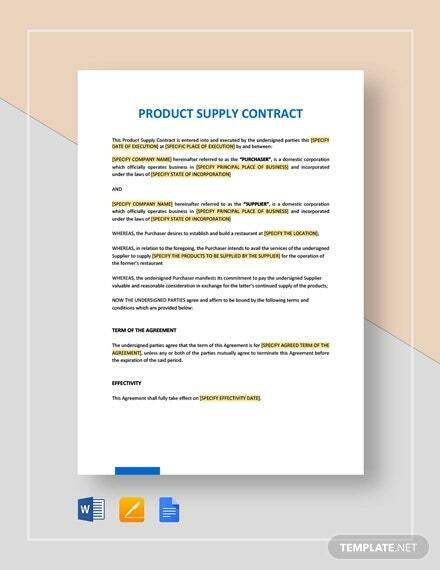 You may check on some business contract templates, as well as sample contract templates and catering contract templates, for more ideas about it. Keeping these five tips in mind during your transaction with suppliers might help you in some means. They are not mandatory, though. However, it is likely that these four could get you ahead against your business competitors as far as supply management is at stake.